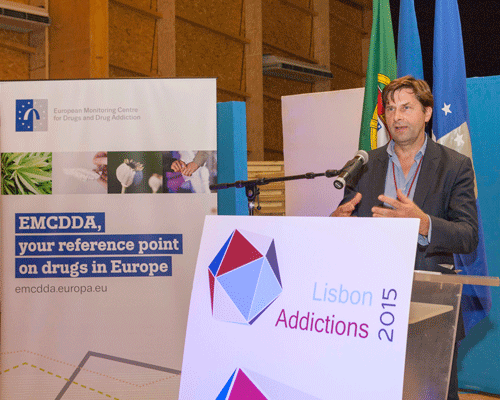 Dr Tim Weaver, Associate Professor of Mental Health Research at Middlesex, has received a major award from the European Monitoring Centre for Drugs and Drug Addiction. Dr Tim Weaver (Middlesex University's Department of Mental Health, Social Work & Integrative Medicine) and Dr Nicola Metrebian (Kings College London) have jointly received a 2015 European Monitoring Centre for Drugs and Drug Addiction (EMCDDA) Scientific Paper Award for their publication, 'Use of contingency management incentives to improve completion of hepatitis B vaccination in people undergoing treatment for heroin dependence: a cluster randomised trial' (2014) published in The Lancet. Their entry was one of 5 winning papers judged on scientific significance, EU policy relevance, originality and creativity, and clarity and quality of writing. 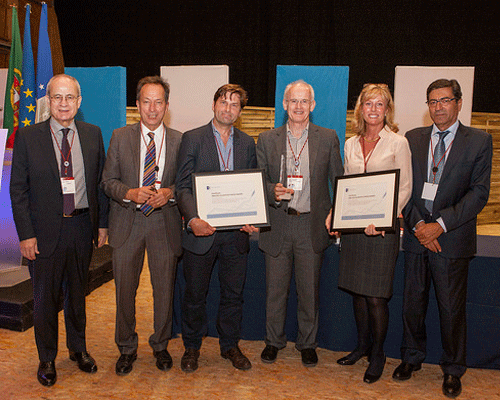 The winning authors received their awards at the fifth annual paper award ceremony in Lisbon on 23 September and hosted by EMCDDA. Injecting drug users are a major risk group for infection and transmission of hepatitis B and thus an important target population for hepatitis B vaccination. Hepatitis B vaccination is offered routinely in community drug treatment clinics but the completion rate is low. The authors reported the findings of a multi-site cluster randomised trial that showed that use of an approach called contingency management (which combines modest financial incentives with positive verbal reinforcement) was associated with a five-fold increase in completion of hepatitis B vaccination for patients receiving opiate substitution treatment in routine clinical practice. This study was part of a National Institute of Health Research Programme grant designed to develop an evidence base for contingency management in UK addiction services. The team are currently working on a second trial that uses contingency management to promote abstinence form street heroin. This latter study is due to report in 2016. The research programme is led by Prof John Strang (Kings College London) and also involves researchers from Imperial College London and University College London. The trials have been completed in partnerships with NHS trusts across London and the south east. Dr Tim Weaver said, "I am honoured to receive this award, along with my co-author Dr Nicola Metrebian on behalf of all the authors of this publication. "There is some controversy about the use of incentives with drug users but we have shown that the approach does provide public health benefits for a relatively small investment. "The trial results are impressive and the approach proved to be feasible and acceptable. It seems reasonable to suggest that incentives should be available as an additional tool for clinicians working with this group to ensure vaccination. Emphasis now needs to be placed on how to implement this and roll it out into mainstream practice."